Rakesh Jhunjhunwala, the Badshah of Dalal Street, has a number of stocks in his portfolio. At first glance, a naive investor would be totally perplexed. There seems to be no order in the portfolio. It comprises of large cap and mid cap stocks, with some being held in abnormally large quantities and others in piffling quantities. Also, while some stocks are well-known household names, others are names you may have never heard of. Well, in all of this confused tangle, Rakesh Jhunjhunwala is sending out a powerful but hidden message to his devotees. Lets decode that secret message now. This may sound straightforward but you will be surprised how many investors falter here. Even Ramesh Damani, the Nawab of Dalal Street and one of the most astute investors ever, openly rued at a Motilal Oswal Value Investing Forum that his biggest regret in life is that though he was thoroughly convinced about a stock, he always, by habit, only bought piffling quantities. The result is that though these stocks became super-duper multibaggers, the overall impact on Ramesh Damani’s portfolio was minimal. Ramesh Damani said that the “biggest failing of his career” was the “inability to dream big“. 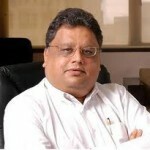 Two highly successful investors who have adopted Rakesh Jhunjhunwala’s technique are Bhavook Tripathy and Dolly Khanna. If you look at their respective portfolios, you will find only a handful of stocks but large quantities of each. If you pause to ponder for a moment, you will find that there is great wisdom in Rakesh Jhunjhunwala’s technique. If you are investing just a few thousands, you don’t give your stock pick a second thought. However, if you are investing 5% or 10% or 20% of your funds in a stock, you will leave no stone unturned to understand the stock. This attitude always pays rich dividends. Also, if you impose a limit on the number of stocks that your portfolio can contain, you have to per-force weed out the non-performers to make way for new incumbents. Rakesh Jhunjhunwala uses his instincts to a great extent when he buys a stock. If a stock which appears to have potential crosses his path, Rakesh Jhunjhunwala buys a token quantity of it and puts it under “probation” so as to track its performance. Rakesh Jhunjhunwala waits for a quarter or two or several to see how the stock is performing. If the stock’s performance meets with his expectations, he rewards it by increasing his investment. Otherwise, he gently lets the stock go its way. Geometric is a classic example of this. Rakesh Jhunjhunwala homed in on the stock in 2003 and has since then been buying steadily. Another example is McNally Bharat which was put under Rakesh Jhunjhunwala’s eagle eye and finally passed out with flying colours. A counter example is Punj Lloyd, Orchid Chemicals and SpiceJet which failed Rakesh Jhunjhunwala’s test of confidence. Compucon is another example of this strategy at work. Let’s list out the stocks that are in Rakesh Jhunjhunwala’s wait & watch list. Most investors think it perfectly normal for them to sell off their winning stocks while holding on to their loss-making stocks. Behavioral analysts call this phenomenon “loss aversion” where the investor refuses to acknowledge his mistake and book the loss. What is surprising is that even accomplished investors suffer from this malaise. We saw this trait in Ashish Dhawan of ChrysCapital, who has sold off all his winning stocks in Yes Bank, Axis Bank, Shriram Transport, Kajaria Ceramics etc while clinging on to loss-making stocks like Sasken, Mastek etc. If Ashish Dhawan had done the reverse, he would have been a much richer man today. Rakesh Jhunjhunwala cautions us against falling victim to this psychological disorder. He advices that we should take a deep breath, calm the mind and ask the question “Is this stock really worth holding or is there a better opportunity available for the money“? 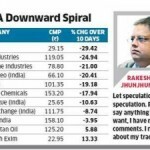 Again, Rakesh Jhunjhunwala leads by example, shuffling his stocks so as to reduce the losers and increase the winners. This is a fantastic message from the master. When Rakesh Jhunjhunwala bought Titan Industries, it was a leader in its’ sector – watches. CRISIL was a leader in its sector – credit rating, Rallis was a leader in its sector – agrochemicals and so on. In hindsight, all these top-quality names were no-brainer purchases. They were (and are) dominant stocks in sectors with huge potential. Another unsaid but obvious message from Rakesh Jhunjhunwala is that you must never put all of your eggs in one basket, now matter how strong is your conviction. And so it is that each of the five dominant stocks in Rakesh Jhunjhunwala’s portfolio are in a separate sector, insulated from each others’ problems. So there you have it. Rakesh Jhunjhunwala’s secrets on how you can be a better investor and buy multibagger stocks. I am sure there are more hidden secrets in Rakesh Jhunjhunwala’s technique which we shall uncover as we go along. alyr naresh su lakh na bar kare che badho kacharo saf kar and buy two – three good stock or buy 1bhk or 2bhk house will give more return then this all stock karchara. Its your portfolio or birbal ki khichri? Also I have shares of Zeylog Systems Ltd…. @ rs.80 Qty. 6000 what to do pls suggest….!! we lost larg amount in sair market. i have only 10000 rupees. how can recover 1336940 rupees. in market. advise only rakesh jee.i am up govt. give me persnal moyal number rakesh jee. very good service by u please carry on o.k. I have 1000 shares of Ranbaxy.Pl let me know what to do.